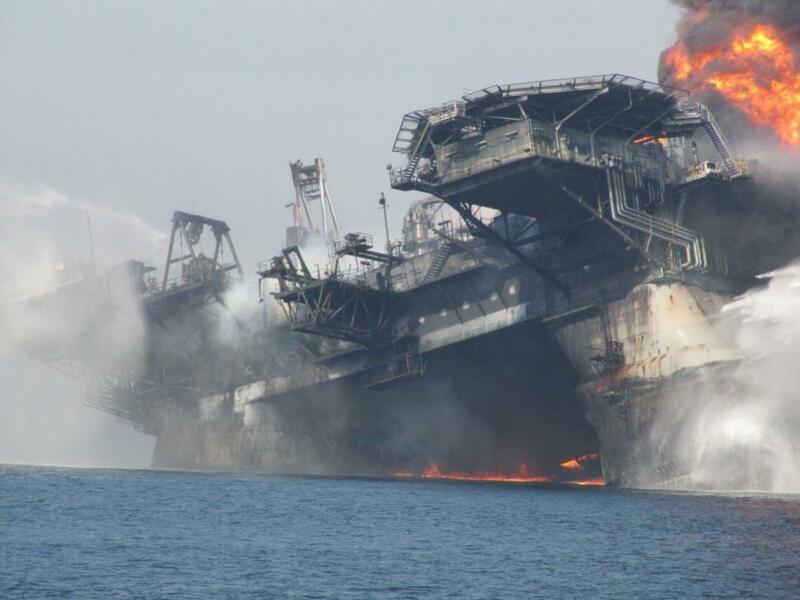 Photo of the burning Deepwater Horizon, following its massive explosion on 20 April 2010, posted by LTZ240 at "Steve's Digicams." The picture was taken by an unnamed photographer who sent the image to LTZ240 "to keep me updated." Picture posted on 23 April 2010. No known copyright. Click on the image for a full-page view. Like the Deepwater Horizon itself, with its many moving parts, the disaster which unfolded at the rig during April of 2010 includes many different issues. This summary asks some of the key questions and provides the answers by linking to witness testimony and official investigations. Did Any Problems Contribute to the Disaster? What Caused Confusion over Who Was in Charge? What Was It Like to Experience the Blowout? Who Is Mike Williams (Mark Wahlberg in the Film)? Who Is Andrea Fleytas (Gina Rodriguez in the Film)? Who Is Jimmy Harrell (Kurt Russell in the Film)? How Did BP Respond to Jason Anderson’s Call for Help? Why Did Crew Members Jump into the Gulf from the Rig? Why Did the Blowout Preventer Fail? What Caused Oil to Surge into the Gulf of Mexico? 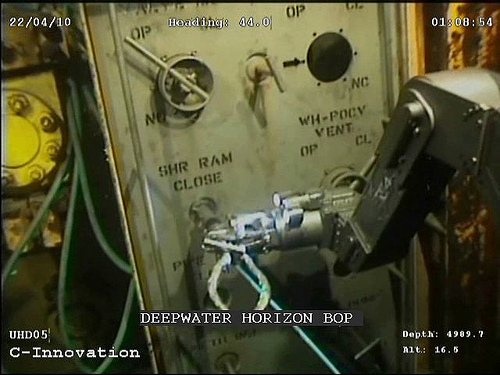 What Caused Deepwater Horizon to Sink on April 22, 2010? 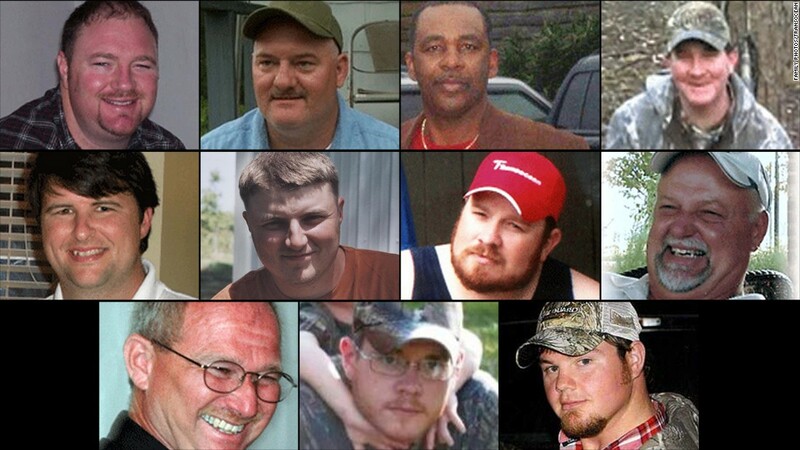 Who Are the Eleven Heroes Who Died Fighting the Disaster? Why Did It Take So Long for Survivors to Reach The Shore? What Were Survivors Forced to Do before Calling Families? After 40 Sleepless Hours, What Did Survivors Sign? 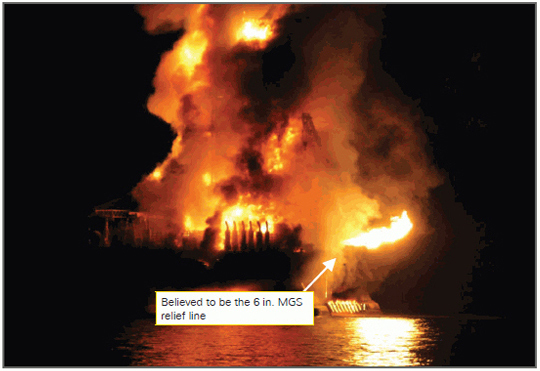 How Did the Coast Guard, and Others, Fight the Fire? How Did Deepwater Horizon Cause Pollution in the Gulf? How Much Oil Did the Macondo Well Release into the Gulf? What If a Gusher is 5,000 Feet below the Water’s Surface? What Happened to Birds As a Result of the Spill? What Happened to Fragile Habitats as a Result of the Spill? Where Could the Oil Have Traveled after the Spill? Chemistry of Life: What Makes Oil? Why Does the Gulf of Mexico Have So Much Oil? How Do We Get Oil from the Gulf of Mexico? Bos, Carole "SUMMARY of the DEEPWATER HORIZON DISASTER" AwesomeStories.com. Oct 01, 2016. Apr 20, 2019. What Caused the Deepwater Horizon Explosion?